For an evening that is a little less formal or where you would like to dine early the Robert Morris Inn has a great New Year's Eve menu and evening available in Salter's Tavern, here. The inn is offering one seating at 5.30pm and one at 8pm. For those who wish to dine in the Robert Morris Inn's more elaborate Dining Room and enjoy a full Gala Event at The Inn, then choose the New Year's Eve Gala Menu available in The Main Dining Room and Tred Avon Room here. Seatings at indiviudal tables at any time of your choice are between 7pm and 9.30pm. 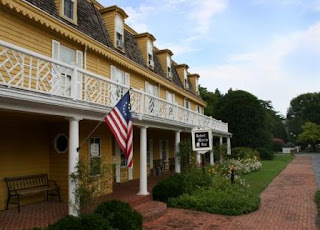 Robert Morris Inn at 410-226-5111 for reservations.